Well it is the time of the year that NASCAR is heading into the valley of the sun! Although I won’t be racing, I will be at the track and sending updates along with some cool stories. 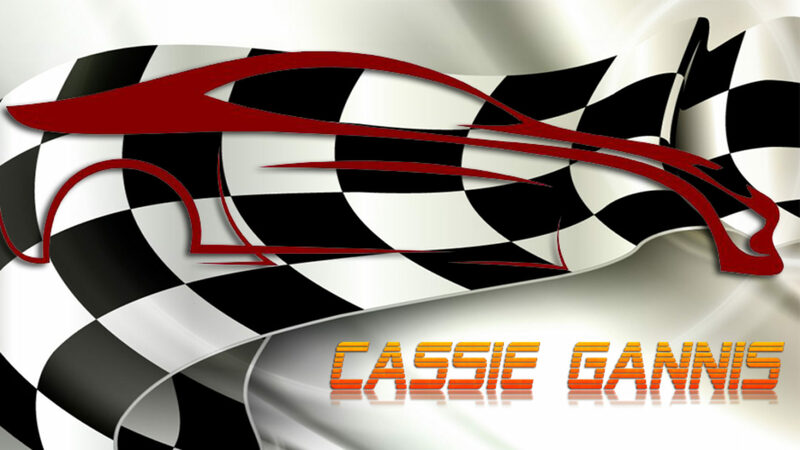 I wanted to share a few unknown things about my hometown track, Phoenix International Raceway! I have written about RATTLESNAKE HILL, one of the best seats at the track, before so I wanted to share the story with you again. Phoenix International Raceway “Rattlesnake Hill can be found between turn 3 and 4 up on the hillside of a beautiful desert mountain. 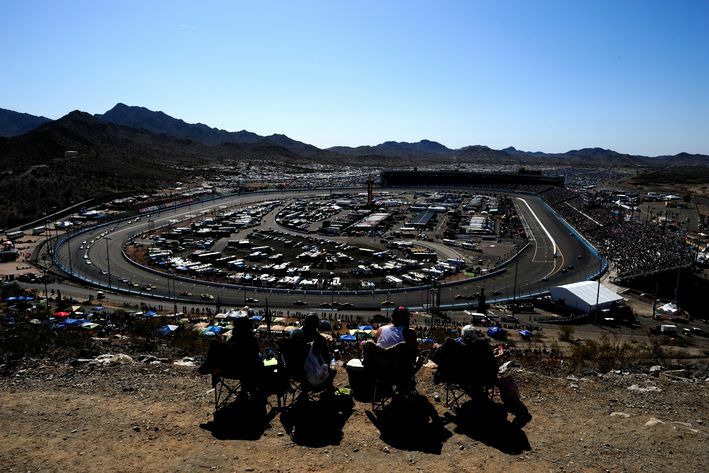 Want an inexpensive way to see a NASCAR race at PHOENIX INTERNATIONAL RACEWAY? Well welcome to the cheap seats on RATTLESNAKE HILL!!!! It is one of the best kept secrets in racing. I have always said that Phoenix International Raceway has one of the most beautiful backdrops in racing. Situated in the beautiful Sonoran Desert and surrounded by the Estrella Mountains, it is close to Phoenix but is actually in Avondale. Rattlesnake Hill is a favorite for locals that want to bring their families to see the NASCAR races and do is affordable. Rattlesnake Hill is right beside the track alongside turns 3 and 4. Entrance to the hill is through gate 9 and 11. Cost of a ticket is around $35 with children being free. Few people know that this hill was once called “Monument Hill” and has a spectacular view and vantage point of the race. At the top of the 105-foot rattlesnake hill hike is something very view fans know, There is a USGS bench marker know as the Gila and Salt River Meridian at the top of the hill and is listed on the National Register of Historic Places! This point was the original survey point for Arizona. A 15-foot X makes the spot where the federal government measures and files land deeds for all land surveying starting points in Arizona. Rattlesnake Hill has sandy rows of layered sections that make for a unique desert racing experience. Fans can bring their portable tents, chairs, coolers and lots of sunscreen to this unique spot and watch the races. There is plenty of room to stretch out. They can even bring mini grills making for a very fun family feel. Some fans bring a rug or throw as a sort of home feel camping site. While sitting among some of the most beautiful desert saguaro cactus, ocotillo, cholla and foliage, fans enjoy an exciting day of racing. There is a law that prohibits coolers to contain alcohol but there is a concession stand nearby. Families bring chairs and pup ups to enjoy a day of beautiful racing in Phoenix! Okay so now you ask, what about the name? What about the rattlesnakes? It was once believed that the track sent officials up on the hill to scare the rattlesnakes away. But that is not true. No one on Rattlesnake Hill has ever seen a snake, coyote, scorpion or anything else dangerous. For the most part desert animals don’t like to be near people so they hide. The only animal that fans claim to enjoy on the rattlesnake hill is the chipmunk, who gets lots of peanuts from excited fans. So if you want to watch the NASCAR races from the grandstands or the pits you can. But the best seat in the house is on Rattlesnake Hill with its postcard view of the desert mountains. So grab the family and racing gang and get your phoenix international raceway tickets now on one of the most unique places to watch a NASCAR race, RATTLESNAKE HILL! ⟵3 Young Men DEAD in Street Racing Crash!